Abortion. Psycho villains with Down Syndrome. Frankly, the only thing missing in Craig Anderson’s Red Christmas is a musical number for Adolf Hitler. Believe it or not, this was a hard film for the first-time Australian director to make. As you might expect, the behind-the-scenes mayhem is more entertaining than the heavy-handed gore fest on-screen. 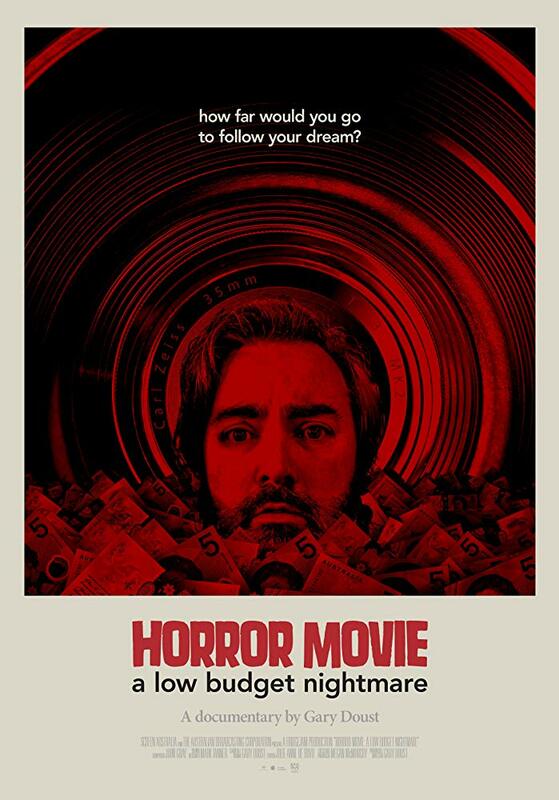 Even viewers who had no patience with the resulting film will be transfixed train-wreck style by Gary Doust’s Horror Movie: A Low Budget Nightmare (trailer here), which screens during the 2018 Kew Gardens Festival of Cinema. The Anderson Doust captures on film is such an earnest, likable chap, who has so much adversity thrown at him, we feel rather bad about panning Red Christmas back to the Stone Age, but its just bad, dude. Regardless, the blood, sweat, tears, and toil that went into its making were absolutely epic. Anderson dedicates every cent he has to the production, yet he is still short about one-hundred grand Australian a week before shooting starts. On the plus side, he has Dee Wallace from Cujo and The Howling signed as his lead—or so he thinks. It turns out SAG-AFTA will brazenly demand a pay-off before sanctioning her appearance. That is before Anderson even starts rolling, which starts off disastrously. Nevertheless, Anderson is such a deer-in-the-headlights underdog, the cast and crew gamely rally behind him. It is downright inspiring to see the film come together, albeit in a somewhat perverse way, given how terrible it is. 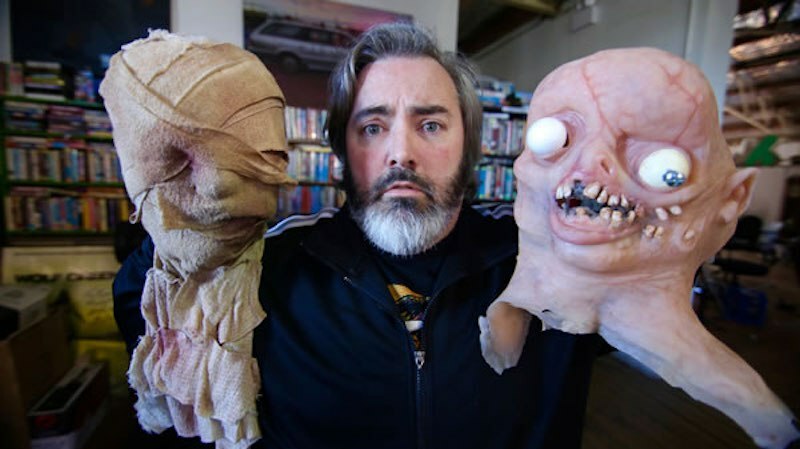 The [mis]adventures naturally continue through post, but at this point, Doust’s doc becomes a rather instructive lesson in how to secure distribution for a genre film. Watching Horror Movie after Red Christmas is indeed a weird experience. You have to respect Anderson’s scrappiness and his friendship with a featured actor who really has Down Syndrome in real-life is genuinely endearing. Fans will also be happy to see Wallace comes across as quite a jolly good sport, who pushes Anderson to make a better film, in the right, non-diva-ish kind of way. Presumably, you can enjoy Horror Movie without having seen Red Christmas first. At least, that is what we strongly suggest. After all, you don’t need to see Coven to understand American Movie, which is a rather apt comparison film. Recommended for cult movie fans, Horror Movie screens this Sunday (8/5), as part of the Kew Gardens Festival of Cinema.